The Lakers have been one of the most talked-about teams in the NBA this season, and that isn't for good reason. The Lakers thought LeBron was the answer, and he might well be a major portion of the discussion. But not with the supporting cast around him. It is evident that the Lakers cannot get it done with the guys they are putting out on the floor, and that means they need a complete tear down of their team come this offseason, no matter what diehards think. 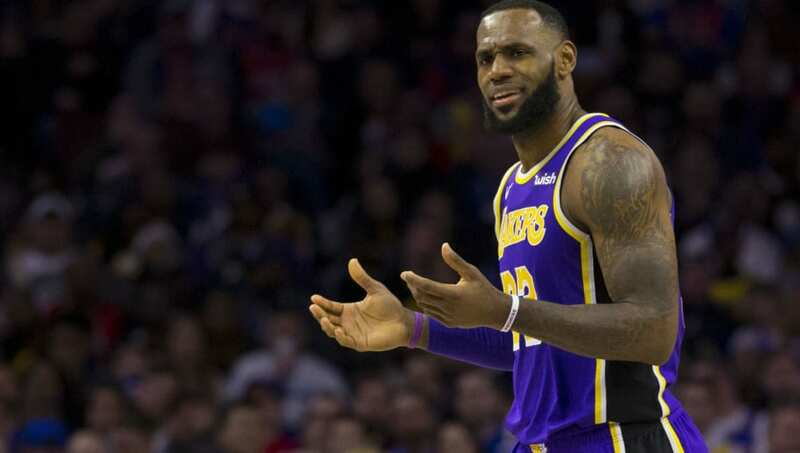 Coming off of another tough loss last night against the dangerous 76ers, it is becoming apparent that, even with elite performances from Kyle Kuzma and Brandon Ingram, there just isn't enough complementing LeBron James on this roster to make the whole function effectively. ​​The Lakers already have the most critical piece of the puzzle on their roster, of course, in LeBron James. But Magic Johnson and the rest of the Lakers front office need to be smart about using their young assets in Lonzo Ball, Brandon Ingram and Kyle Kuzma this offseason in order to land a greater threat. Just like what we saw in the offer to New Orleans for Anthony Davis, the Lakers are willing to sacrifice those young players and a few seasoned vets like Rajon Rondo and Lance Stephenson in order to get a super star duo with LeBron. Whether it's Davis or Davis-lite, this team requires an efficient and beastly post player to pair with Bron, and they shouldn't be shy about shedding any of their young talent to get one. Remember how much work Pau Gasol and Kobe once did together? ​​There are already rumors floating around the league that there could be a possible reunion between Kyrie Irving and LeBron in Los Angeles, a relationship that would help stabilize things immensely. Other big name free agents that will be available this summer include Kevin Durant, Kawhi Leonard, Klay Thompson, and DeMarcus Cousins. If not AD, then Kyrie and Boogie sounds like a solid consolation prize that accomplishes many of the same things. At the end of the day, the Lakers need to do a clean sweep of their roster and add some fresh new talent in Los Angeles if they plan on being successful in the league anytime soon.